Buckingham, MD, FACP, practicing internist for 39 years, author, and patient advocate, has dedicated a lifetime to the understanding of how chronic inflammation is evoked within interstitial spaces. Graduated as a Illinois-Doctor of Medicine (MD) in 1973-1976 at University of Illinois Abraham Lincoln School of Medicine, he Completed his Post Graduate Education in 1976-1979, at Northwestern University Medical School. His first Publication is Monoamine Metabolites in Cerebrospinal Fluid: Indicators of Sleep and Wakefulness at University of Illinois Press, 1975 and How the Capillary-Cell Dance Blocks Aging while Decreasing Pain and Fatigue, Universe, 2017. How Chronic Inflammation Sabotages the Immune Arsenal and Poisons the Interstitial Spaces of End Organs is to be published May, 2018. Dr. Robert got a National Award on Strathmores Who- National Internist of the Year Award, 2015. Jinping Zheng is a Professor of Respiratory Medicine in First Affiliated Hospital of Guangzhou Medical University, Executive Director of Clinical Research Center for Respiratory Disease, Director of Pulmonary Function and Clinical Physiology of Chinese Society of Chest Physician, Vice-director of the Respiratory Therapy Committee of the Chinese Thoracic Society, Chairman of China Union for Pulmonary Function Testing, and Director of Guangzhou Respiratory Society. My name is Masaaki Kusunose. I graduated from Nagoya University School of Medicine. I trained at the Japanese Red Cross, Nagoya First Hospital in Nagoya city during his residency. Afterward, I was engaged in a basic experiment at the Department of Respiratory Medicine, Nagoya University Graduate School of Medicine. I focused on the mechanism by which lung cancer cells acquire worse phenotype and how to intervene that alteration, and earned a doctorate. 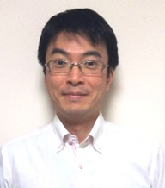 Iâ€™m now working at the Department of Respiratory Medicine, National Center for Geriatrics and Gerontology, Obu, Aichi as a physician and also engaged in clinical research related to the association between chronic lung diseases and frailty. P.N.Richard Dekhuijzen (Amsterdam, the Netherlands, 1956) is Professor of Pulmonology at the Radboud university medical center (Radboudumc) in Nijmegen, The Netherlands. 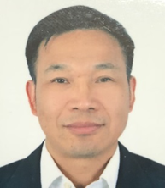 His specific area of research interest is in asthma and COPD, with a focus on pathophysiology, therapeutic interventions and inhalation technology. He studied Medicine at the Free University Amsterdam and completed his training in Pulmonology at the Onze Lieve Vrouwe Gasthuis in Amsterdam and in the Academic Hospital Nijmegen. In 1989 he finished his PhD thesis on training of the respiratory muscles in COPD. In 1991-1992 he worked as a post-doc fellow at the Catholic University Leuven (Belgium), followed by a PhD thesis on steroid-induced myopathy of the diaphragm in 1994.He was Associate Editor of the European Respiratory Journal and regularly reviews for the major respiratory journals. 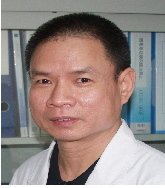 He is author/co-author of over 300 peer-reviewed papers and many text book chapters on Respiratory Medicine. He was chairman of the Committee on the Development of Guidelines in Respiratory Medicine of the Dutch Society of Pulmonology, and member of the Scientific Board of the Dutch Asthma Foundation. 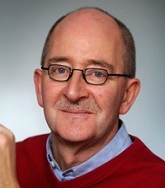 Untill 2016, he was chair of the Department of Pulmonary Diseases and chair of the Heart-Lung Centre Nijmegen, and he was head of the department of Cardiology in 2008-2010. Since 2012, he is chair of the Medical Staff of the Radboudumc. Asthma, COPD, Diaphragma, Pharmacotherapy, Lung diseases. Dr. Fernando Guedes is a medical doctor from Portugal, specialist in Pulmonology and Intensive Care Medicine. He works CHP/Hospital Geral de S. AntÃ³nio, as director of Bronchology Unit and where, in 2013, he funded the Pediatric Bronchoscopy. Since 2010 he is Instructor of Bronchology of European Society of Intensive Care Medicine. His clinical activity also relies on Sleep Apnea, invasive and non-invasive ventilation and COPD. His PhD is focused in regenerative medicine and bioprotheses. 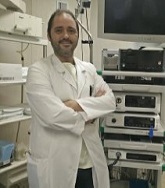 In his academic activity, he works as invited professor of Pulmonology and Pathology in Instituto de CiÃªncias BiomÃ©dicas Abel Salazar Medical School of Oporto University. Since 2011 he works as a scientific reviewer of British Medical Journal. 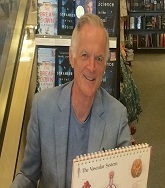 He is author of more than 40 presentations and publications in scientific reviews and congress books in both national and international congresses. In 2009 won 1st Prize - Respiratory Endoscopy Photography 2009 SPP / GlaxoSmithKline.